Based on records going back at least to the 1970s, Siesta Key had not experienced a tornado until Sunday, Jan. 17, National Weather Service (NWS) meteorologist Andrew McKaughan told The Sarasota News Leader this week. He recalled waterspouts, McKaughan said as he reviewed NWS files, but as far as a tornado: “I don’t see anything,” he said on Jan. 20. Long-time Pelican Press Editor Anne Johnson recalled waterspouts, too, she told the News Leader the same day. Having moved from the Midwest to the island in 1972, she said, she remembered waterspouts hitting the beach and “stirring up a little sand,” but that was all. At 3:17 a.m. on Jan. 17, the NWS reported an EF2 tornado touched down 2 miles southeast of Siesta Key — latitude 27.2530; longitude -82.5396, to be precise. With a wind speed estimated at 132 mph and a width of 350 yards, it traveled 1.14 miles before dissipating at 3:22 a.m., the official NWS record shows. The storm had narrowed to a width of about 100 yards by the time it crossed the Intracoastal Waterway, the NWS report says. According to the Enhanced Fujita scale for tornadoes, an EF2 is considered strong, the NWS report notes, with average wind speeds between 111 mph and 135 mph. The most violent type of tornado — an EF5 — has winds exceeding 200 mph. 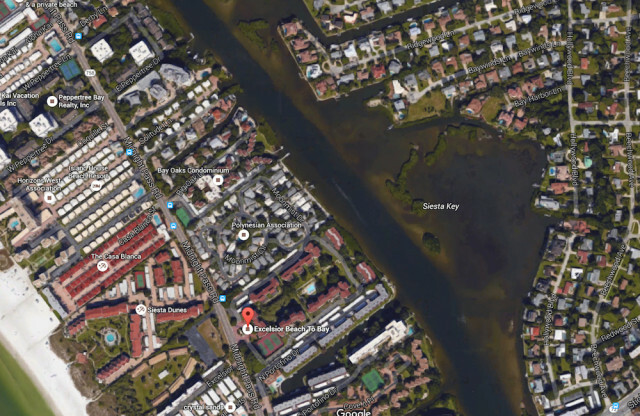 Sarasota County Commission Chair Al Maio told The Sarasota News Leader on Jan. 19 that County Administrator Tom Harmer called him at home at 4:15 a.m. Sunday with the news of damage to Siesta Key and a neighborhood across the Intracoastal Waterway from the island. According to the Jan. 17 log from the 911 Call Center at the Sarasota County Emergency Operations Center on Cattlemen Road in Sarasota, calls for assistance from people on Midnight Pass Road began coming in just after 3:10 a.m.
A person at the Crystal Sands condominium complex called at 3:13:39 a.m. Less than a minute later — 3:14:11 — someone at Crescent Arms placed a call. 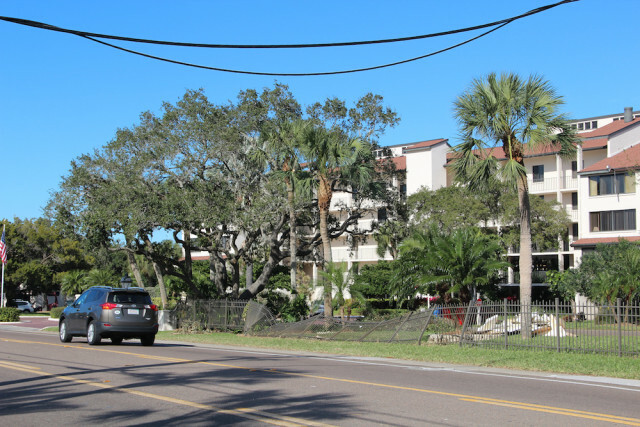 The first call from a resident on the Gulf of Mexico side of the Excelsior Beach to Bay condominium complex came in at 3:17:16, the log shows. And it was that complex that appears to have sustained the greatest amount of damage on the Key. During the five-hour period starting at 2:30 a.m. on Jan. 17, the 911 Center took 270 calls, Wendy Rose, community affairs manager for the Sarasota County Sheriff’s Office, told the News Leader, although not all of them were related to the storm. The average number of calls for that period on a Sunday is 120, she added. The most recent figures from Sarasota County staff — as of Jan. 19 — showed 60 structures, commercial and residential, suffered storm damage totaling nearly $12 million, county spokesman Jason Bartolone told the News Leader. 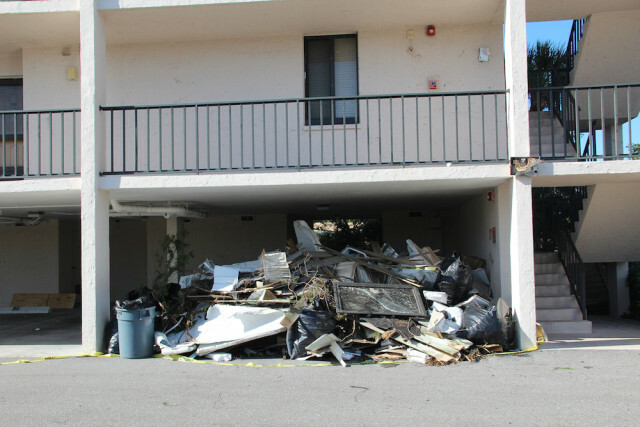 A report from the county’s Emergency Management staff on the afternoon of Jan. 17 said more than 350 properties had been inspected, with 45 found to have sustained damage estimated above $3 million. At the Excelsior on Monday, Jan. 18, the woman who answered the phone when the News Leader called apologized that she was too busy to talk. She had “about 50 people lined up here,” waiting for assistance, she added. Two days later, another woman in the Excelsior office offered to answer the News Leader’s questions between pauses to take other calls. Though she declined to give her name, she reported that the building at the complex that sustained the most damage has 32 units. She was unsure how many people were staying there when the tornado struck on Sunday, she said, but structural damage has necessitated that they all leave. The building has no water or electricity, she pointed out, and about one-third of the roof is missing. An insurance inspector visited the site on Tuesday, Jan. 19, she explained, but she had no idea yet of the total damage estimate, let alone when people will be able to occupy the structure again. “It’s going to be a long time,” she said. Engineers are due on site soon, she noted, so they can evaluate the situation. “It’s a mess,” she added. Representatives of other condominiums on the Key have called, offering units “here and there,” she said. The Excelsior’s receptionist was working to rebook people as space could be found, the woman told the News Leader. 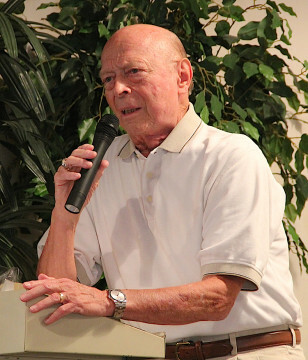 “We got a tough wake-up call, obviously, Sunday,” was how Walt Olson, president of the Siesta Key Condominium Council, put it during brief remarks at that organization’s Jan. 19 meeting at Siesta Key Chapel. Only the nine units without hurricane-resistant windows in the most seriously damaged building on the Gulf side reported shattered glass from the tornado, he pointed out. “The building structure looks all right, at this point, anyways,” he added. “The grounds themselves got beat up pretty bad,” Olson continued, and that damage is not covered by insurance. Given the spot where the tornado evidently touched down, he said, it would have been expected it to “come right into us” on the bay side. Instead, it veered south, he noted. Between 30 and 40 people began the cleanup effort on Sunday, Olson noted. Within 30 or 45 minutes of the storm’s strike, Olson said he saw several Sarasota County Fire Department trucks, two or three EMS vehicles, about five law enforcement vehicles and two or three Florida Power & Light (FPL) trucks in the immediate area. Rose of the Sheriff’s Office told the News Leader that 12 deputies worked on the Key Sunday. After Sgt. Jason Mruczek gave his report during the Condo Council meeting, one Excelsior resident who lived in the building that suffered the greatest damage, Larry Kaplan, told Mruczek he could not offer sufficient praise for Sheriff Tom Knight, the deputies and all the emergency responders for their actions. “Your whole operation is top-notch,” Kaplan said to Mruczek. 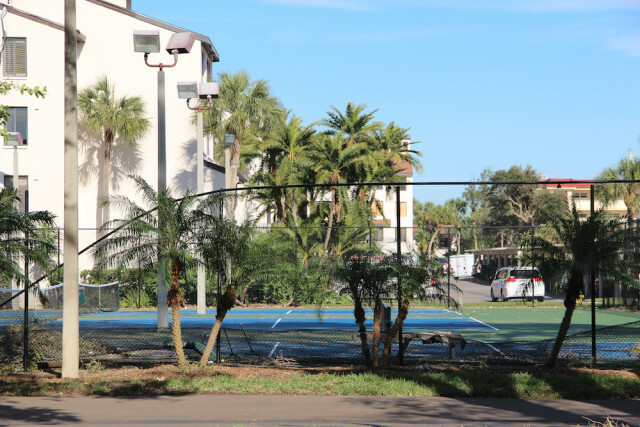 “It was a well-trained, well-placed continuous response [on Sunday],” Commissioner Maio told the approximately 70 people at the Condo Council meeting. 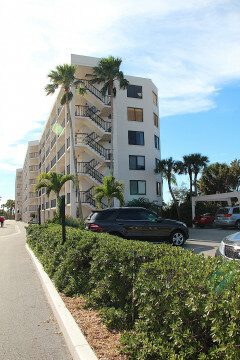 The tornado touched down on the beach, Maio explained, and swept past the Excelsior Gulf-side buildings and the adjacent Crystal Sands condominium complex before crossing the street and traveling over the bay, where it hit three streets before dissipating in the immediate area of the Encore Motorcars of Sarasota, located at 6000 S. Tamiami Trail, and Sarasota Memorial Park. On Baywinds Lane, one woman was in bed on the second floor of her house when the roof began to cave in over her bed, Maio pointed out. She was able to roll onto the floor, he added. The Fire Department has “a big rubber inflatable bag, if you will,” he continued, that a crew maneuvered into the house to use in lifting the roof; then firefighters were able to rescue her. The 911 Center log shows a call at 3:20:01 a.m. from 1619 Baywinds Lane was the first to come in from that affected area. The woman’s husband reportedly was on the first level of the house, Maio said. The National Weather Service report identifies that couple as the only two people injured as a result of the Siesta Key tornado. Later, Maio said, a team went back to the house to rescue the couple’s dog. During a Jan. 20 telephone interview with the News Leader, FPL spokesman Bill Orlove said company records show power went out at 3:21 a.m. Sunday in the aftermath of the tornado strike. Crews arrived within an hour and began assessing the damage and restoring power, he added. Within two hours, he continued, about 20 percent of the affected customers had power restored. At that point, Orlove said, Sarasota County Fire Chief Michael Regnier asked FPL crews to halt their operations until county employees could assess whether public safety would be threatened by re-energizing the rest of the lines. Most customers in the area had their power back by 11:22 a.m., Orlove added, though some repairs were not completed until early in the morning of Jan. 18. Siesta Key and the Baywinds Lane area were not the only ones affected by storms, he pointed out. 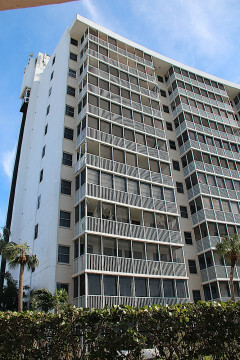 Some of FPL’s East Coast residents experienced problems as well. Altogether, FPL had 200,000 customers without power at one time, he said. 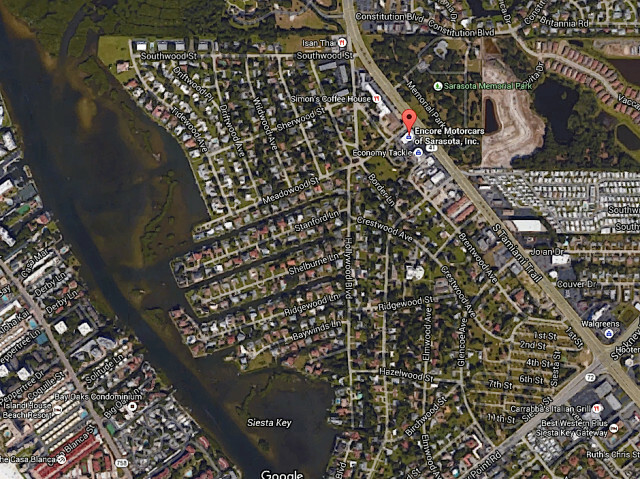 That complex is adjacent to Excelsior’s bayside buildings. “We’re afraid to take our boats out,” she added, asking Commissioner Maio what he would recommend.